Have you ever wanted to eat clean but get a little nervous about the cost of healthy food? So did I for a really long time but this salad is clean, lean and green and full of protein!! I am also a poet and didn’t know it. JAJAJAJAJAJAJA!!! 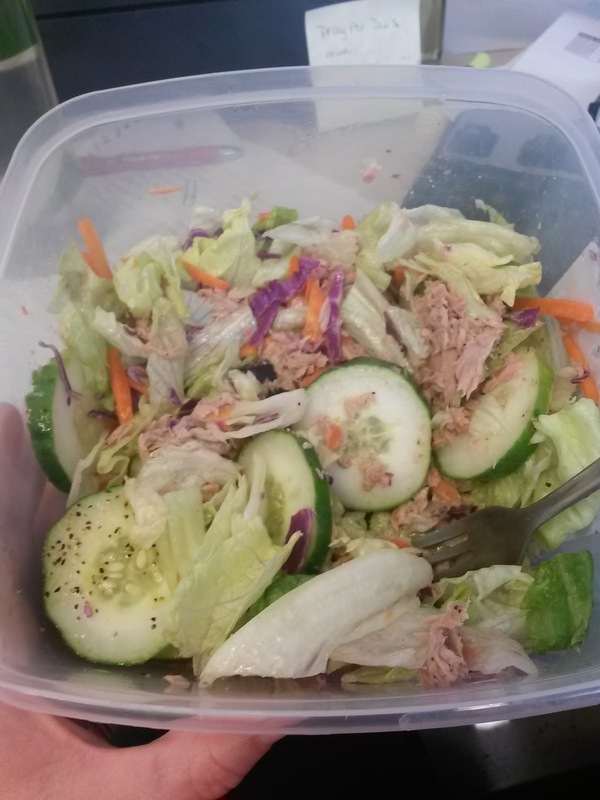 Anyway, this salad has a bag of Aldi Garden Salad which is only $.69, 1/3 of a cucumber that I bought at Aldi for $.49, a can of tuna that Bryan bought and I have no idea where (probably Walmart) and is dressed with a homemade vinegarette that consists of about an 1/8 cup olive oil, 1/8 cup red wine vinegar, about a teaspoon of Great Value Lemon Pepper and sprinkle of salt. Y’all this salad is not only delicious but is healthy, lean, green and clean!! !